Rendering of Heritage Square in Signal Hill. Courtesy of KTYG. 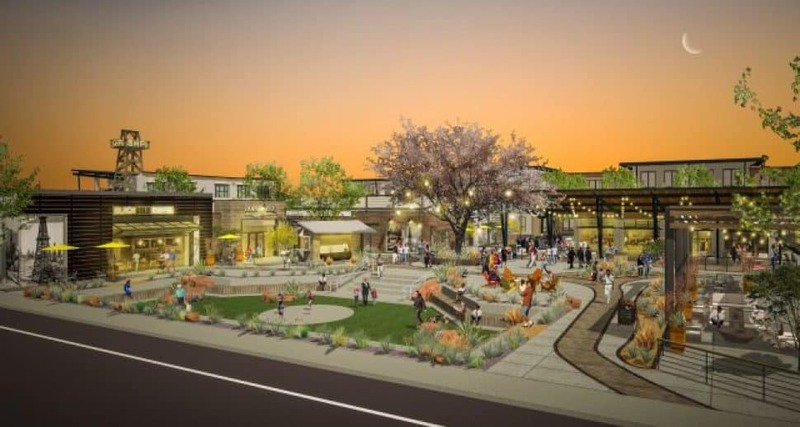 After renderings were released for the eight-acre development atop the hill dubbed Heritage Square, showing off the massive plans Signal Hill Petroleum is seeking to make a reality, a community meeting will be held Tuesday, Dec. 4, to further discuss the project. With plans approved this past April by the Signal Hill City Council, Signal Hill Petroleum’s initial proposal included land they didn’t own yet, moving the company into exclusive talks with the city of Signal Hill over the past year. The parcel of land—part of which is now home to a Mother’s market—is on the west side of Cherry Avenue between Burnett and Crescent Heights Streets. The development—which Debra Montalvo Russell, Signal Hill Petroleum’s vice president for community relations and real estate development said will become a “downtown” for what many people think is just a neighborhood of Long Beach—will offer more than 60,000 square feet of retail space along with 200 proposed residential units in an area where Costco and Home Depot rule the retail space. From a thematic angle, it is clear that Signal Hill Petroleum is playing with its own history, harkening to oil derricks and hints of the Wild West myth that influenced the mass movement of newly minted immigrant Europeans on the East Coast toward the west—a place that, mind you, was already home to indigenous peoples. Those people—the Tongva, a large Native American community that spanned our entire region and was later known as the Gabrieliños after the San Gabriel Mission influenced culture through coercion—had no idea they were sitting atop wealth when it came to the space of Signal Hill. The Royal Dutch Shell Oil Company invaded in the early 20th Century and, come 1921, five years of fruitless drilling behind it, the Alamitos No. 1 well struck black gold: An underground lake of one billion barrels of petroleum. 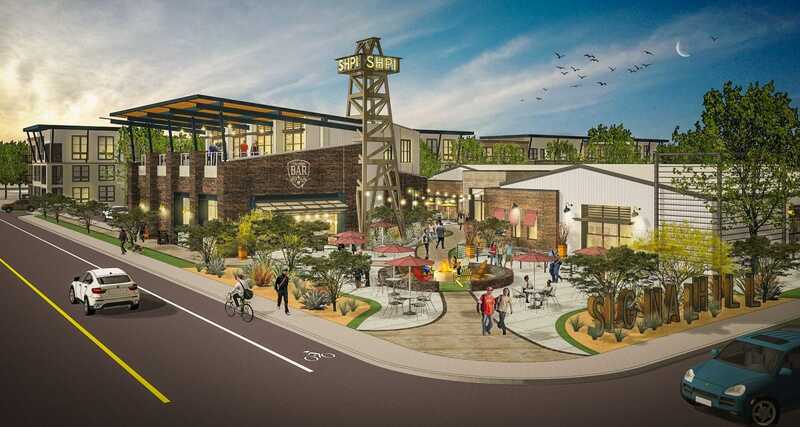 Kevin Laney, vice president of business development for Signal Hill Petroleum, told the Long Beach Business Journal last year that there are several oil wells on the site that need to be abandoned or re-abandoned—an odd but common occurrence throughout Signal Hill developments. The community meeting will be held on Tuesday, Dec. 4 from 6 to 8 p.m. at the Signal Hill Council Chambers located at 2175 Cherry Ave.